Flying home from a FAB family vacation, I was seated next to my adorable nephew, Jackson. He tuned to me to share a video game moment and came eyeball close to my mouth. Sigh. Nothing like an 8 year old to remind you how old you are. And, today is my birthday. How fast it goes to travel the sun! I am a year older…and a bit more wrinkled. A birthday is a great time to assess your life. Here’s what I know for sure: No sense worrying about missing a ship of opportunity. There is always another ship. We are just the right age for whatever we want…right now. 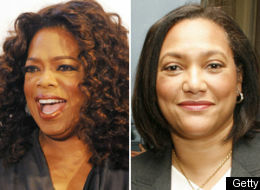 I recently read a story in Vogue magazine about Christina Norman, the CEO of Oprah’s OWN network. She interviewed for the job while she was CEO of the MTV network. Burned out, struggling with a cold, Christina pretty much blew the interview. Oprah was underwhelmed and Christina didn’t pursue the job. Christina quit MTV. She was fried and ready to NOT be the most important person in the company for a bit. She connected with her family, relaxed…and caught her breath. When a friend called and alerted her that Oprah was considering someone else to lead OWN, she realized, “Hey…I WANT that job!” And she got it. When the ship of opportunity sails, don’t panic. There will be another one. And another one. OWN kicks off 1.1.2011. Congratulations to Christina and Oprah and the OWN team. BTW, if you need some help teaching business basics, I am ready to jump on that ship! I’m the perfect age for it. PS. Get More Calls Now Teleseminar series kicks off in September. Here’s the Velvet Rope page…line up to get the information – and the BEST price – now! Functional Family Business? I Believe In Miracles!